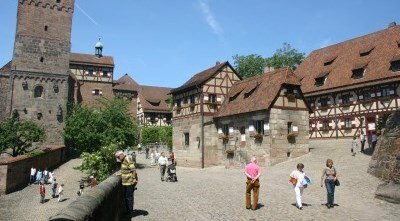 The Augsburg Plärrer is next on: In 2019 - Spring Plärrer: April 21 - May 5, Autumn Plärrer: August 23 - September 8. Ahh, the Plärrer….I’ve downed more beer and had more fun at this festival over the years than I’d care to remember. 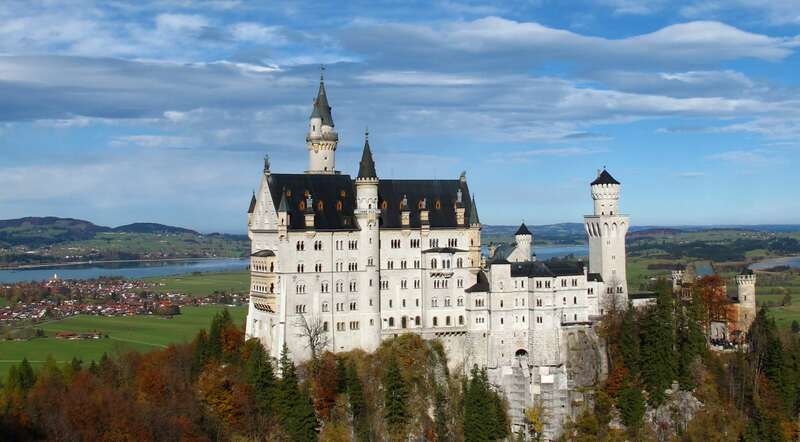 This is the grand blowout in Augsburg, Bavaria’s third largest city after Munich and Nuremberg. 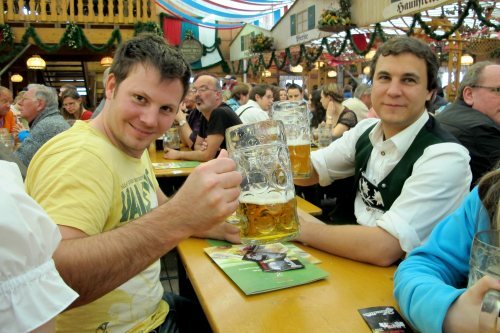 The Plärrer is the biggest beer festival in Bavarian Swabia, the south-western corner of Bavaria. 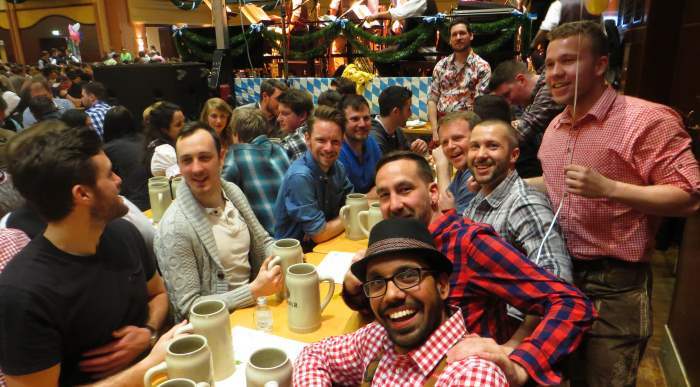 It’s a smaller-scale Oktoberfest with less of an international flavour, but more genuine German goodness. Note: Plärrer is pronounced Plär like Claire, then -rePossibly the coolest thing the Plärrer has over the Oktoberfest is that it’s on twice a year! The festival takes place over two weeks (and three weekends) in Spring (April/May) and again in Autumn (August/September). 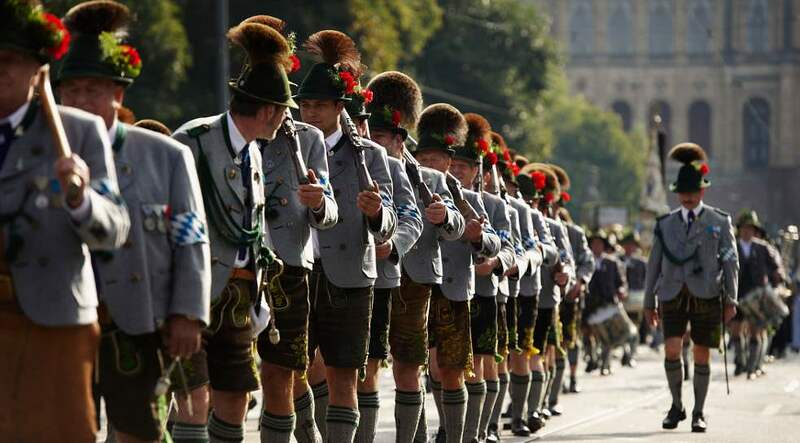 The latter Plärrer is a great warm up for the Munich Oktoberfest if you’re planning on sticking around that long. All up about 80 food stands, amusements and rides fill the grounds. 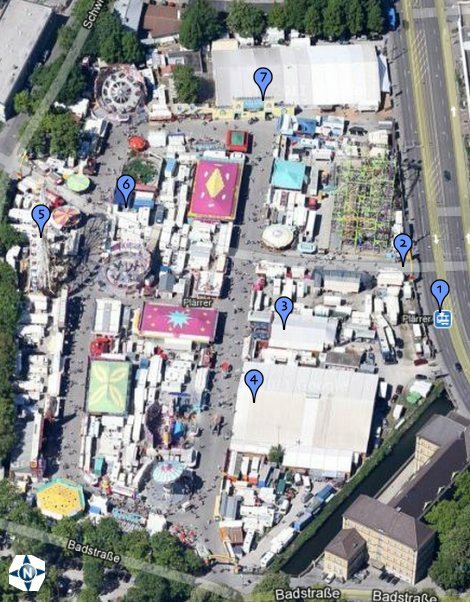 Think shooting alleys, dodgem cars, a Ferris wheel, ghost train, bratwurst stands, children’s pony rides and a couple of big beer tents in the middle and you’ve pretty much got the Plärrer sussed. 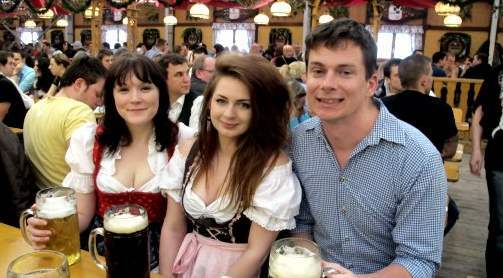 That's me on the right with my girlfriend and a friend of hers in Dirndl dresses in one of the beer tents. Note that I'm drinking dark beer (Dunkles), well worth a try at the Augsburg Plärrer! 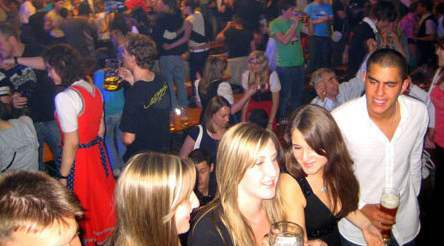 There are two big beer tents which hold a couple of thousand people each and a smaller tent which hold a couple of hundred. 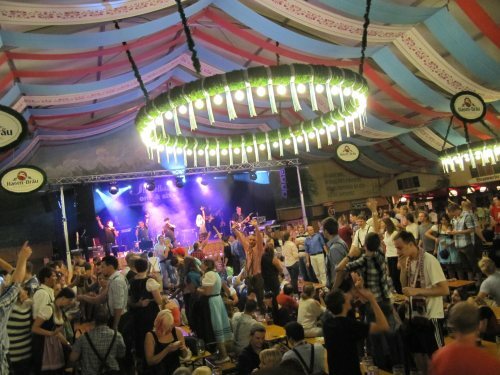 Of the two big tents, the Festzelt Binswanger is the best to party in. The "Binsi" generally attracts a younger crowd, has a slightly better atmosphere and (usually anyway) better music. The only downside to this tent is the lager which is brewed by the local company Hasenbräu (Hare Brew) and is often derided as headache-inducing bunny pee pee. I actually don’t think it’s all that bad, but if you are overly concerned you could try the Dunkles (dark beer) which is brewed by the excellent Kloster Scheyern. The other big tent is the Festhalle Schaller. The Schaller used to be the second-choice tent to the Binsi but it's come a long way in the past few years and now it's also heaps of fun. The food at the Schaller is probably better and there's a lovely beer garden at the back. This tent is more the place to come if you want a slightly quieter time of it and won’t feel obliged to stand on the benches swaying to the music. The smaller tent is the Festzelt Hühnerbrateri Ebert-Miller, known for its great grilled chicken. 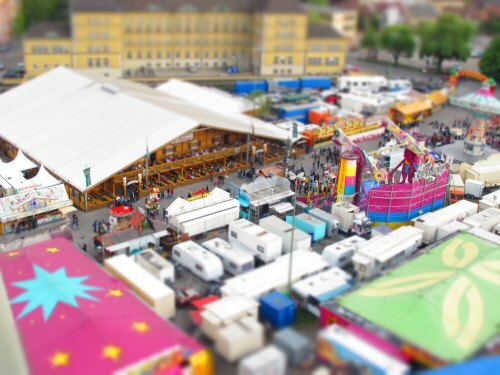 I used the "tilt-shift" technique for this shot of the Plärrer grounds from the ferris wheel. The big tent-like structure is the Binswanger, stage of many of my best debaucheries. Standard German beerfest fare served inside the tents (pork knuckles, potato salad, grilled chicken, etc). 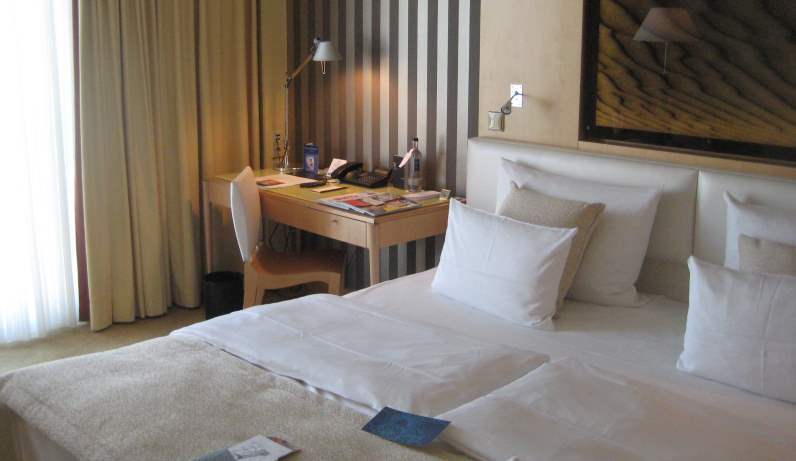 But for something special I recommend you look next door to either the Binswanger or the Schaller tents. 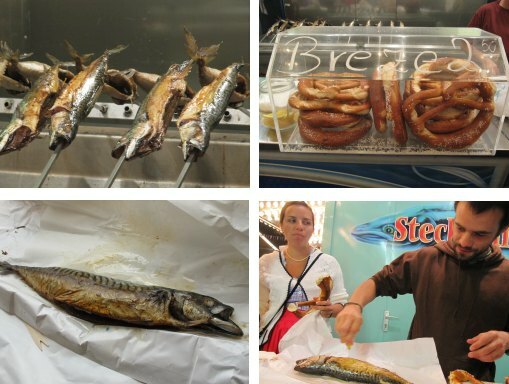 There you’ll find a stand serving that most rare and oily of Bavarian delicacies…the Steckerlfisch. That literally means "fish on a stick" and that’s how it’s cooked, slowly barbecuing away suspended above a row of hot coals. The fish is infused with a mix of oil, garlic and herbs and you get it pretty much whole, minus the guts. Yummm! Common varieties are trout (in German: Forelle) and mackerel (Makrele). Steckerlfisch is paid for by weight, an average one will set you back €9. Buy a giant pretzel to eat of on the side, grab a couple of wooden forks and off you go! You’re even allowed to take it into tents to enjoy with a mug of nice cold beer. The Steckerlfisch experience. Clockwise from top left: the fish roasting away, giant pretzels (Breze) are the perfect complement, and below, friends of mine enjoying the finished product. A parade kicks off the Autumn Plärrer on the first Saturday morning it’s held. Hundreds of performers, marching bands, community clubs and vintage cars troop their way merrily down the main streets of Augsburg to the festival grounds, starting at about 10am. It's worth seeing if you’re about! 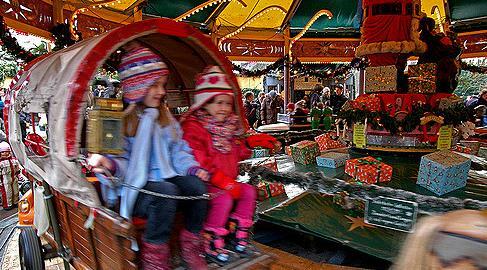 The Plärrer can trace its roots back to the old city market festivals or "Dults" which have been held in Augsburg for more than 1,000 years. 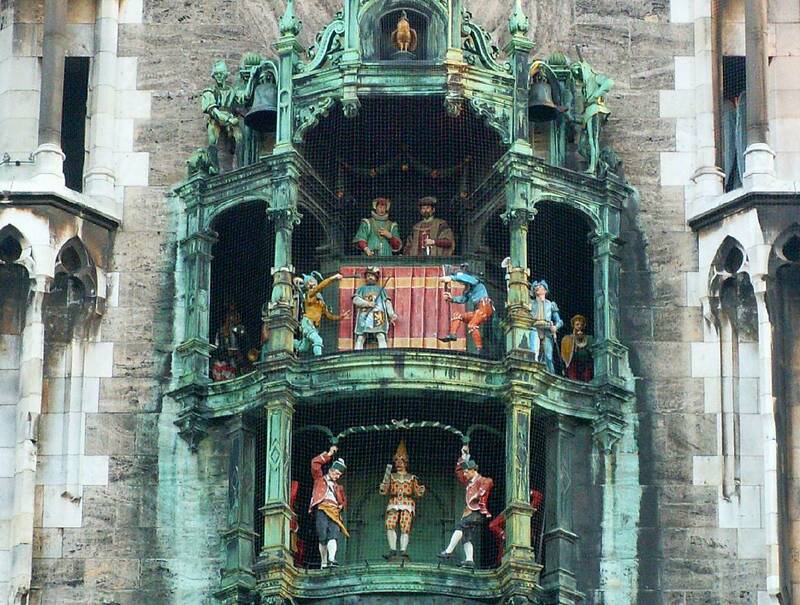 The festival was officially called the Geplärre until 1978 and moved to its current location outside the old city walls in 1878 because it was getting too noisy for comfort. After the First World War no alcohol was served for almost 10 years until 1927. The first beer tent appeared in 1930. Although rides and amusements are considered fun enough these days, things were different and a darned sight wackier in the past. For example, in 1969 the festival’s star attraction was "the smallest man in the world" measuring just 78cm! 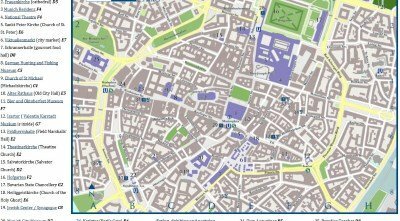 A map of the Augsburg Plärrer grounds, click on it to see it on Google Maps. Key 1. Plärrer tram stop 2. main entrance 3. Festzelt Hühnerbrateri Ebert-Miller 4. Festzelt Binswanger 5. Ferris wheel 6. Sterndl Alm Festzelt 7. Festhalle Schaller. In 2019: Spring Plärrer: April 21 - May 5, Autumn Plärrer: August 23 - September 8. Opening times Monday to Thursday 12pm to 11pm, Friday/Saturday 12pm to 11.30pm, Sundays and public holidays 10.30am to 11pm. Costs Entry is free. Rides and amusements generally cost €2-€4. Count on €10 if you want a decent meal inside one of the beer tents. 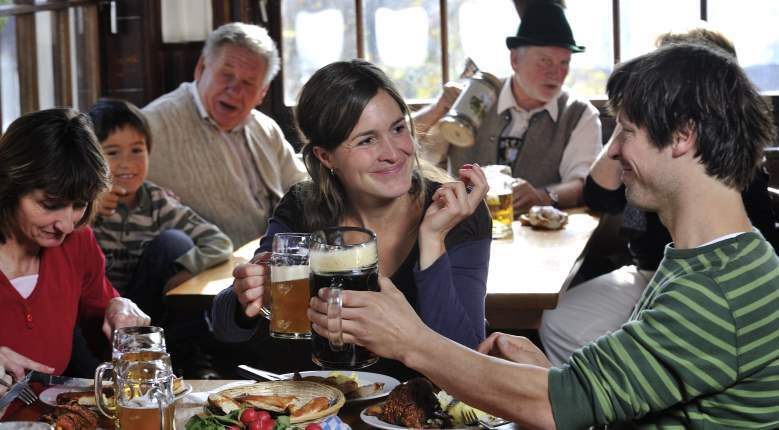 A Maβ (litre of beer costs around €8, so round it up to €9 with a tip). Reservations It’s possible to book a table inside the beer tents. 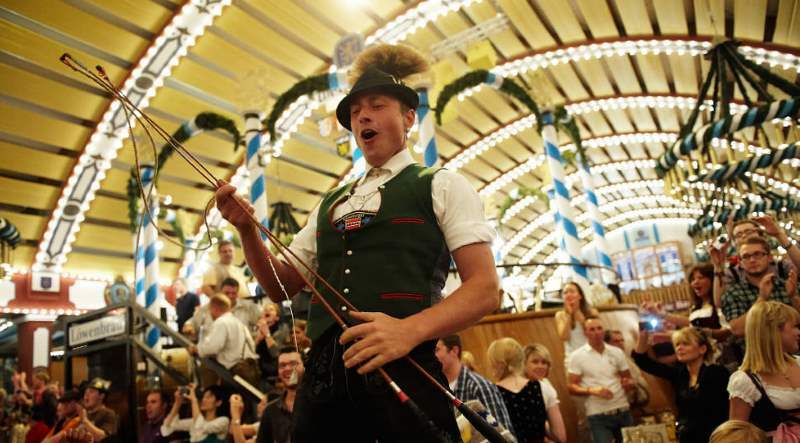 However unlike at the Oktoberfest where you have to book months in advance, a few weeks ahead should suffice for the Plärrer. Contact the beer tent management directly to book. For the Festzelt Binswanger Phone 0821 298 298-0 Fax 0821 298 298-29 Email info@festzelt-binswanger.de . Directions Augsburg has a well-serviced train connection to Munich and it takes as little as 30min to get there (by high-speed ICE train) or 45min with a regular train. 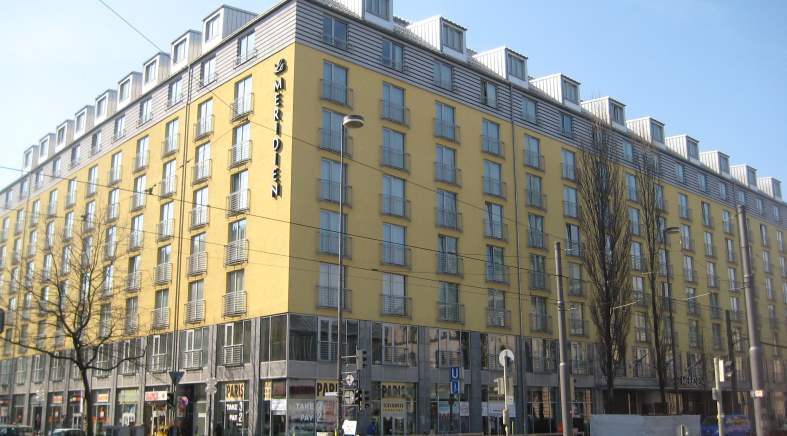 From the Augsburg Hauptbahnhof (main train station) it’s a 20min walk to the Plärrer grounds. If you want to cut the walk short you can walk 10min east to the Königsplatz and get Tram No. 64 from in front of the McDonalds to the stop "Plärrer" direction "P+R Augsburg Nord". If you’re using a Bayern Ticket to get to Augsburg from Munich you won’t need to buy an extra ticket for the tram. Other useful numbers: Plärrer police stand 0821 323 2291 Lost and found 0821 324 5888 Augsburg taxi 0821 350 25. …and a bit more with everybody up on the benches! 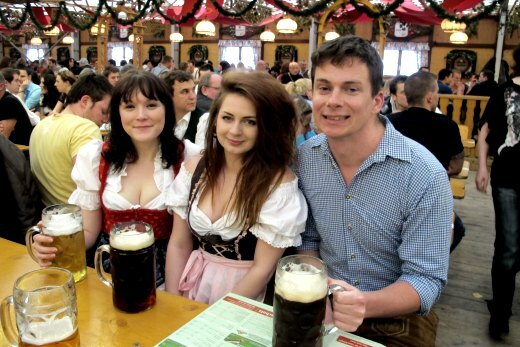 You see, just like Oktoberfest! 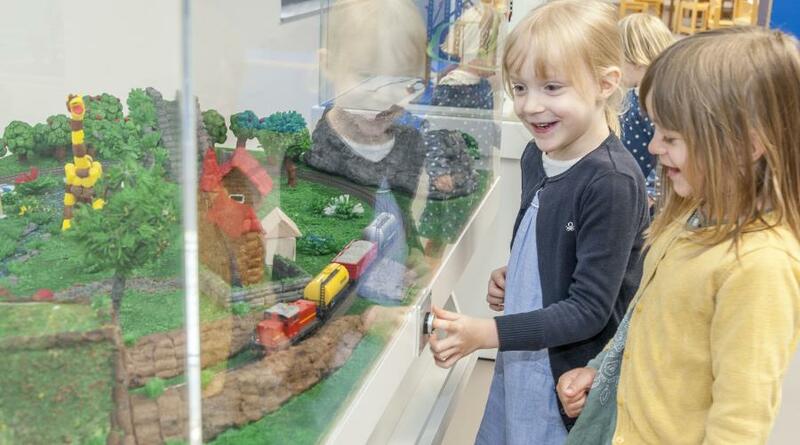 Like to see more photos from the Augsburg Pärrer? I've put together a whole page devoted to 'em, see here: Augsburg Plärrer Photos. 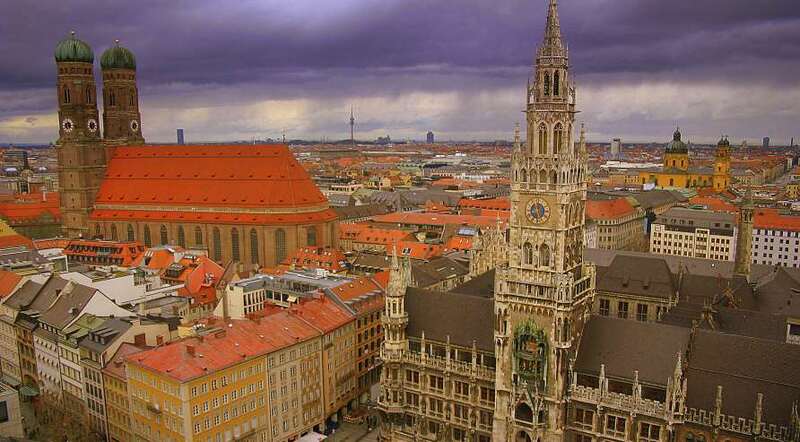 • See what else is on at the main Munich Festivals page.